While the summer of 2009 was a washout, it did not daunt the young Clare people who trained extensively under a team of volunteer coaches. The ultimate test of their training and skills was challenged in competing provincially, nationally and at European level demonstrating the lifesaving skills that are a lifeline in emergencies. 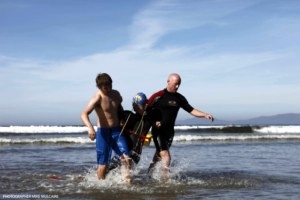 All events at these competitions are based on the skills required by lifesavers and lifeguards and the equipment used by them in carrying out their duty. 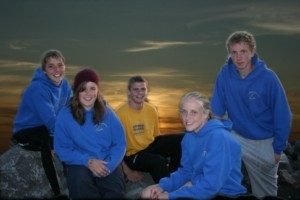 European Junior Surf Lifesaving Championships 2009- Eindhoven, The Netherlands. Clare young people contributed well to the win for Ireland of six Medals in the European Junior Lifesaving Championships in Holland in early September. brought the Cup to Clare again in 2009. Rossnowlagh Beach, Co Donegal. 12-13th September 2009. 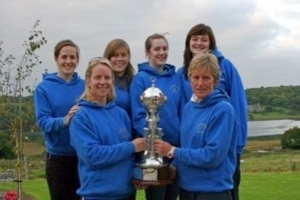 Co Clare surf lifesavers swept the board at the National Surf Lifesaving Championships on Rossnowlagh Beach, Co. Donegal on the weekend of 12-13th September 2009. 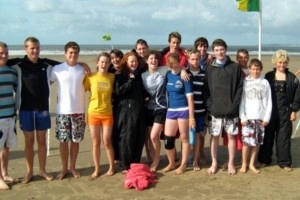 In Aberavon, Wales, on the weekend of 29-30th August 2009, the prestigious and challenging Celtic Cup Challenge event brought together the best teams from Ireland Wales, Scotland, Cornwall and Devon for the annual event.